Online DSP Classes: Why Such a High Dropout Rate? 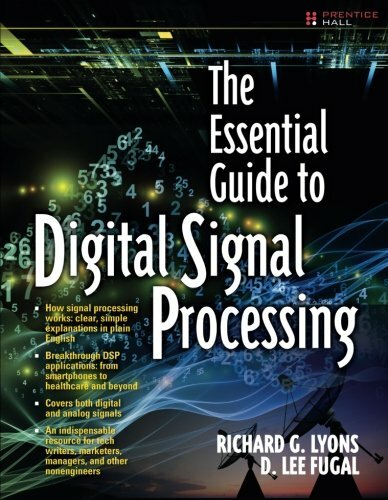 Last year the IEEE Signal Processing Magazine published a lengthy article describing three university-sponsored online digital signal processing (DSP) courses . The article detailed all the effort the professors expended in creating those courses and the courses' perceived values to students. However, one fact that struck me as important, but not thoroughly addressed in the article, was the shocking dropout rate of those online courses. For two of the courses the article's authors presented the following two tables. The tables' rightmost columns, "Yield", show the percentage of enrolled students who actually completed the courses. Shockingly, the average dropout rate is 97%. I wondered, "Why do 97 out of every 100 online students drop out of the courses before completion?" My guess at the answer is that the courses are far too mathematically intense for the average young person who wants to learn something about DSP. On their home pages the EPFL course is described as "a mathematically solid introduction" to DSP. The Rice University course states that prospective students should have an "advanced mathematical background." Introductory DSP training material whose recipe is too rich in complex-variable mathematics is hard for beginners to digest. Most DSP beginners choke on such material and give up. I believe another contributing factor to the online courses' appalling completion rate is that these courses are not "self-paced"—-students must keep pace with the courses' nonstop schedule. The Instructors' predicted that the "effort" needed to complete the courses is 8 hours/week. My guess is that the average student ends up spending, say, 10 hours/week or more on a course. And that much intense effort, week after week, is more than many young students are willing to put forth. Considering the courses' dreadful completion rates, it seems to me the courses' creators should now step back and ask "What can we do to improve our courses' completion rates?" References [2-5] are the home web pages of the three DSP courses discussed in the Reference  IEEE Sig. Proc. Magazine article. References [6-11] are other online DSP courses I discovered on the Internet. École Polytechnique Fédérale de Lausanne’s "Digital Signal Processing" course on the Coursera.org web site. Rice University’s "Discrete-Time Signals and Systems, Part 1: Time Domain" course on the edX.org web site. 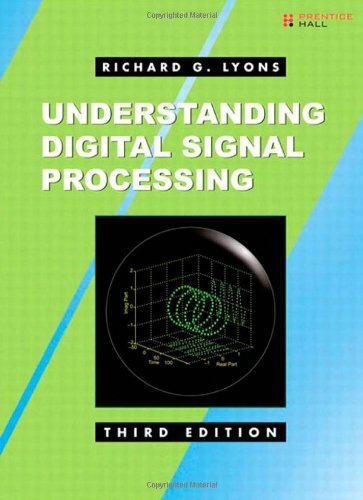 Rice University’s "Discrete-Time Signals and Systems, Part 2: Frequency Domain" course on the edX.org web site. Universitat Pompeu Fabra of Barcelona and Stanford University's "Audio Signal Processing for Music Applications" on the Coursera.org web site. Indian Institute of Technology Bombay's "Signals and Systems, Part 1", on the edX.org web site. Indian Institute of Technology Bombay's "Signals and Systems, Part 2", on the edX.org web site. "Fundamentals of Digital Image and Video Processing " on the Coursera.org web site. A. V. Oppenheim, “1975 version of a videotape lecture series and study guide on digital signal processing,” MIT Center for Advanced Engineering Studies. A. V. Oppenheim. “1987 version of a videotape lecture series and study guide on digital signal processing,” MIT Center for Advanced Engineering Studies. I think if you separate the online courses that are offered by accredited institutions such as Universities, require payment, hold students accountable, and have a clear prerequisite you will find the drop-out rate is lower (my intuition). Whereas a free (or low cost) on-line courses such as edx, coursera, MOOC, and others have a higher dropout rate. My rational is two-fold; first, a student that has a financial commitment to a course has an incentive to get their bang for their buck and may be perusing a degree, or is motivated enough to meet the financial commitment. Second, free on-line courses are often not maintained. I realize the phrase, "your mileage may vary" applies here as the free on-line course do have a bit of difference. Free on-line courses (especially coursera) do track student's progress but there is no "penalty" to not complete, or, the certificates offered, IMHO, don't really mean much. So, I think a key reason for lack free drop-outs could be that, like browsing for a book in a book store, one that "signs up" for the course could be simply testing the water to see what is "inside" and may decide the course is not for them ; complex variables or not. All that said, books such as yours and other Authors on this site (and a few others) seem to have hit a sweet spot. Personally, I highly value both the print and those that take their time to publish on-line. I would like to recognize on site (I hope this does not break the rules on Embedded Related). That is Dr. Wickert at UCCS (www.eas.uccs.edu/wickert). Although Dr. Wikert does protect some material, he is generous enough to offer a lot of great material from his courses, and takes great pain to organize his material for his students, his primary goal is not to publish free materiel (That I can tell). He does offer the material for those that really want to learn on their own time, at a distance, without any offer to respond to email. One really nice feature of his classes/we site is lab demonstrations and configurations that have made a huge difference, in my opinion, in one can or should learn DSP - hands-on in conjunction with lectures. That's not a new concept, but is evident in his "free" on-line material. I checked out Prof. Wickert's web site. He has several courses that I'd like to attend. 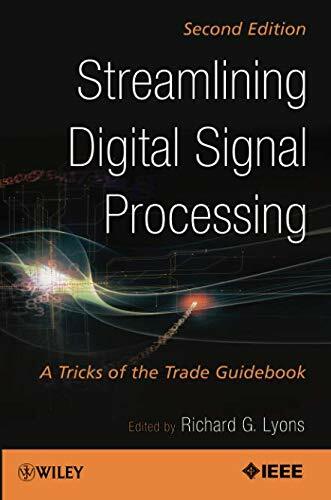 His "Real_Time Digital Signal Processing" class looks technically intense and awfully interesting, but being "C-language challenged" I'm not sure I'm up to such a task. I am one of those dropouts, and I'd like to give my perspective. I started the Stanford course on Coursera, link #6 above... I was pretty excited as audio is how I came to DSP in the first place. By day I am a software engineer. As of now I've been in that game 27 years now.. nothing fancy... but at about year 20 I got bored and thought well there has to be some domain I can apply my programming skills to, in order to do something not only different but *important*, you know, not "just a job" lol... At that time (oh, 2009) I thought Bioinformatics might be my calling, having read The Cosmic Serpent by Jeremy Narby a few years before that... After a year of Biology and an intro Bioinformatics course, I got burnt out and bored again. At some point, perhaps in late 2015, along came some article on ChucK in one of my email newsletters, and my interest was rekindled. I've been a musician since I was a kid but never had any interest in computer music, until these two things came along... but now it's to the point where I have, perhaps almost unintentionally, taken to immersing myself in DSP land in my free time, to try to absorb, think, and cross my fingers that someday I will get it before I get burnt out again. I think my chances are pretty good here since I am a musician as I mentioned. I fiddled around with ChucK for awhile and eventually completed the Kadenze course earlier this year. Anyway, I am one of the dropouts in that table above. And yes, it was the math. When I started the course earlier this year, shortly after completing the Chuck course on Kadenze, I thought "here it is! my ticket outta here!" yet about 10 minutes into the first video lecture, there it appeared, the DFT formula, and thus, the wind immediately dissipated from my sails... Going in I knew that I was still short on the math, but I had mistakenly thought this was the one that was going to let me ride shotgun for awhile til I was ready to take the wheel. Nope. I can't speak for others, but for me at least, I DO plan on going back and making another run at that course after I feel like I'm ready. I am continuing my progress that I have made so far. I would say, things are actually starting to gel for me where I can read something, process it, and understand without having to necessarily go write the code to print out the mathematical results in order to grok it. I feel like I'm on the cusp of getting a good handle on the *basic* synthesis part of things (sine/square/triangle/sawtooth/pulse/chirp), at least enough to understand various waveforms, various ways to synthesize them, and whatnot. I know how to read a basic spectrogram... just not how to compute it yet. Thank you to Mr. Boulanger (I'm currently hammering around on chapters 2/3/4 in TAPB) and to Mr. Kapur and Mr. Cook (finished the course, and am looking forward to trying out the synthesis tools). I'm rambling, but I wanted to give you the complete perspective of how I ended up here. I aced math in high school. I mean I had the rhythm and everything -- it was the one subject I knew I could ace without having to really think too hard. It just came naturally to me. So did the drums, as an aside. Fast forward 30 years (I turned 48 last week on 10.17), and I find myself wishing I would have either A) perhaps finished a college degree, or at least the Calculus part, or B) discovered my interest in computer music sooner! I said I love math, and I still do. It doesn't come *as* easy as it did in high school, but if I sit and work with it, I'm still "pretty good" at it -- I just don't have the rhythm down anymore since I'm out of practice. Hello sidtbird. Thanks for sharing your story. Just what mathematics topics are useful to study in preparation for practicing digital signal processing is a source of endless debate. Sidtbird, would you please send me a private e-mail at: <R.Lyons@ieee.org>? This makes me wonder, how many people who visit our blog entries on DSPRelated find them helpful, or for that matter read them in whole or in part. I recall reading an article a few years ago on Massive Online Open Courses (MOOCs) in engineering -- apparently the initial offerings had horrible completion rates. There had been a lot of hype on how they would change education. Maybe just sitting in a room with other humans is underrated. Question: Did the students pay for the courses, or were they free? Hi Neil. 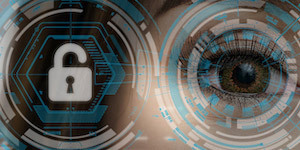 You wrote: "This makes me wonder, how many people who visit our blog entries on DSPRelated find them helpful, or for that matter read them in whole or in part." I'd sure like to know that answer to that. I'll bet that less than 20% of the folks who start reading our blogs end up reading them in full. As for your question, as far as I can tell the three online DSP courses are free but the EPFL course offers some sort of official "Certificate" if the student pays $40 and competes the course. Neil, thinking more about this topic, I may be making a very false assumption that everyone who enrolled in an online DSP course actually intended to complete the course. In my experience if you give something away for free, even if it's extremely valuable, people are happy to disregard its value. When people pay for a thing they are far more likely to see it through as they have investment to recoup. Hi andrewstanfordjason. "Bingo! Give that young man a kewpie doll." I wish our State and Federal politicians understood human nature as well as you do. Where's your control group? What's the completion rate for courses with similar estimated levels of difficulty and esotericity (I just made that word up) in radically different fields -- i.e., statistical methods in early childhood education research, 2nd-kingdom Egyptology, genetic factors in oncology, etc. It's possible that a large percentage of people sign up for the course, click into a few videos, feel uninterested, and hence drop. I wonder what is P(drops the course eventually | completed the first half lectures & exercises) ? Hello khuasw. I don't know the answer to your question. However, perhaps the answer is buried somewhere in the article given in my above Reference . This is actually not a completely bad result. The same thing happens in college courses while the online audience generally takes a less serious approach and it can be expected that they're on a lower "weed out" threshold. The biggest issue with these courses is that they are not 'self paced'. You are forced to keep up with the class. I am assuming the majority of the people that are taking these courses are either A) full-time students, or B) have a full-time job. In both these scenarios, its really challenging to find time to commit yourself. If I am going to be "self-studying", I need to be able to go at my own pace. Let's say I come across a topic I dont understand fully, I'll probably want to explore other resources and take my time to really make sure I have a good grasp of this before I move forward. Now if I was in a traditional academic structure / model, I would be bombarded with assignments, labs, projects, even though I lack understand of the subject material being discussed. The professor would not wait for me, and the class would keep moving. That gap in my knowledge will accumulate over time causing further lack of understanding. These online courses are not much different. I was really looking forward to taking some of the courses mentioned here, but unfortunately, I simply dont have the time at the moment. Truly upsetting, because I am sure, content wise, these courses would be really beneficial. Rick, responding to your statement "I believe another contributing factor to the online courses' appalling completion rate is that these courses are not "self-paced"" I can see that this would be a problem. I am almost finished with a Udacity class on Artificial Intelligence Deep Learning. The class is self paced within limits. Each of the five projects has a due date but if you miss the date by a day or two, it's not a big deal. The downside of lateness is that you fall behind your fellow students who share Q/A on the forum. I think Udacity also rewards on-time submissions with an occasional freeby for another class. I completed, with distinction, both EPFL "Digital Signal Processing" and "Audio Signal Processing for Music Applications" courses in 2015, which I took with overlap. During some weeks, I was spending ~20 hours on them. With full-time job, and extensive travel in November and December of that year, it was indeed challenging. Can't comment on experiences of those who didn't complete. My first-hand experience, and experiences shared by others on one of the courses internal discussion groups, indicated that in addition to a good math background and interest in the subject, we all shared strong motivation to learn, because we acutely felt we needed this knowledge - either right now or very soon. List of pre-requisites for a course. For instance, I personally found the EPFL's course refreshingly rigorous and pleasant in its reliance upon higher-level mathematical concepts, which significantly shortened derivations. Yet I realize that if prior to starting the course I didn't know Linear Algebra and Complex Analysis, such approach would appear quite mystical to me. "Audio Signal Processing for Music Applications" programming exercises were a lot of fun, yet I can easily imagine how they wouldn't go as smoothly if I didn't have professional experience programming in Python. Ended up contributing to their open-source Python framework, because I ran into limitations precluding me from doing the processing I wanted for some of the exercises. Entry exam of some sort. To make sure the pre-requisites are sufficiently learnt. To filter out the people who don't have a strong enough motivation. Ultimately, to save the time for people who are very unlikely to finish the course. At some point, we had to use a C++ open-source framework written by graduate students, which had some non-trivial bugs, because a grad student inadvertently pointed us to a development version instead of a stable one. I kid you not, these bugs were more difficult to sort out than bugs in a 1,000,000+ lines of code production C++ app I once worked on. The course maintainers only realized that the version was wrong after I submitted the list of issues I found. I spent ~12 hours on that. There were smaller errors in the courses as well. Those are inevitable. But, unlike a face-to-face academic environment, the online community was slower in realizing that there could be issues. Some of those issues stemmed from underestimation of the exercises complexity, some from under-specification of exercises assumptions, which once again is inevitable. Only later into the course the online community gelled enough to discuss such issues, and to give a meaningful feedback to the course maintainers. As any new thing worth doing, the online courses have been following the Hype Cycle. I think they are very valuable in a fundamental way, and will rise from the Trough of Disillusionment. Hi AudioFit. Thanks for your thoughts. I'd never see that "Hype Cycle" before. It's aptly named and interesting. It fairly accurately describes the evolution of many so-called innovations in engineering, medicine, education, etc. It makes me think about cloud computing, Common Core, nanotechnology, driverless cars, bitcoin, etc. I'm currently struggling with an on-line Coursera course from an accredited university. My take on the course so far is that the explanatory content is minimal. For each step along the way, I have had to research extensively outside of the course before I could understand what the course was talking about. Hi skajam66. Thanks for your thoughts. Your experience with your on-line DSP class sounds somewhat unpleasant. It shouldn't be that way. The course should be fun! At the end of each class session you should be in an upbeat mood with an increased sense of enthusiasm. Based on what I've seen of the various online DSP courses, it seems to me those courses overwhelm the DSP beginner with too much high-powered mathematics too soon in the course. I believe the mathematics of DSP should be introduced slowly and gently to the students. If a young kid swim wants to learn how to swim you should first let them splash around for a while in the shallow end of the swimming pool. You shouldn't teach a kid how to swim by throwing them into the North Sea during a winter storm. skajam66, was your online class the "Digital Signal Processing" course produced by the École Polytechnique Fédérale de Lausanne?